This time next month it will be Boxing day, Scary or what! I'm not a person who need to be forced into thinking Christmassy thoughts, pretty much from the 1st of September I'm already planning my Christmas tree theme for the year, but I know some people find it hard to even think about Christmas before November is over. If you are finding it hard to get into the Christmas spirit here are my ten tips for kick-starting all those fuzzy festive feelings. 1. Plan a Christmas meal with Friends. 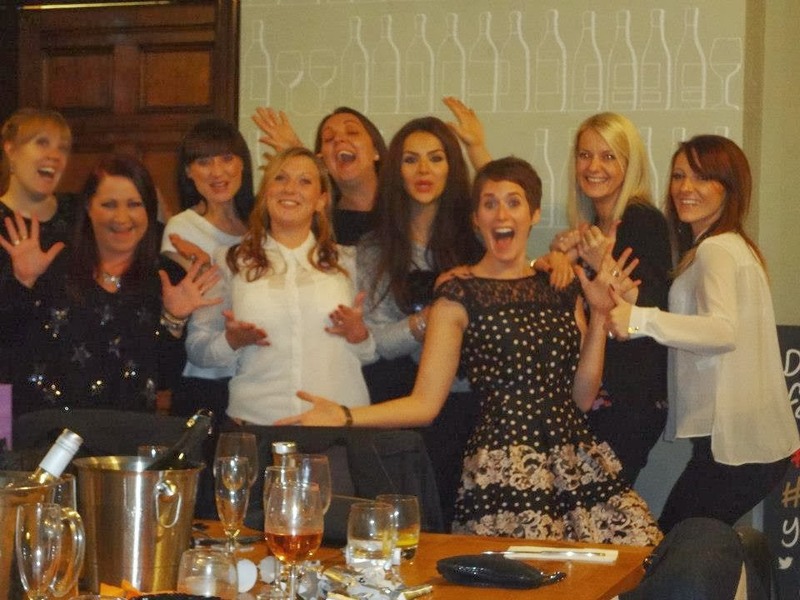 Every year our girls meet up for a Christmas meal, it is always a highlight for me as I don't get to go to a work Christmas do because it would just be me and Mum, so we do that on Christmas day. It's really lovely to meet up with our girls and have a catch up and a giggle. It's a nice excuse to get dressed up, Oh and there is always wine...lots of wine! 2. Shop for festive food. In my opinion a Terry's chocolate orange is not just for Christmas, I love comfort food and I love it when all the Christmas flavoured goodies and party foods are available in the supermarkets. Anything orange or mint flavoured, Hot chocolate, Sausages in bacon, lindt chocolate reindeer, chocolate logs, mince pies, Christmas cake, gingerbread men, You name it, it's on my shopping list as soon as it hits the shelves! Mr Kipling sent us some of their festive treats recently and the Winter Whirls are just delightful! If you like cinnamon-y ginger treats you will love them. 3. Head to a department store Christmas decorations department. I always love my yearly trip to London especially to visit Liberty's, Harrods, Selfridges' and John Lewis' Christmas departments. It is always guaranteed to get me feeling festive. I don't always buy anything, but it is great for getting ideas for decorations. If you are hosting a Christmas day meal (like I am this year) then plan that one, but if you are heading to family for the day, plan a separate festive meal for yourself and your best friend/ boyfriend/ husband. Steve and I always have a special meal on Christmas eve, just the two of us, I go all out, cook his favourite meal, decorate, and we get to open one small present from each other. If your not up for cooking, get a special takeaway or go out to a nice restaurant, make an evening just for you. 5. 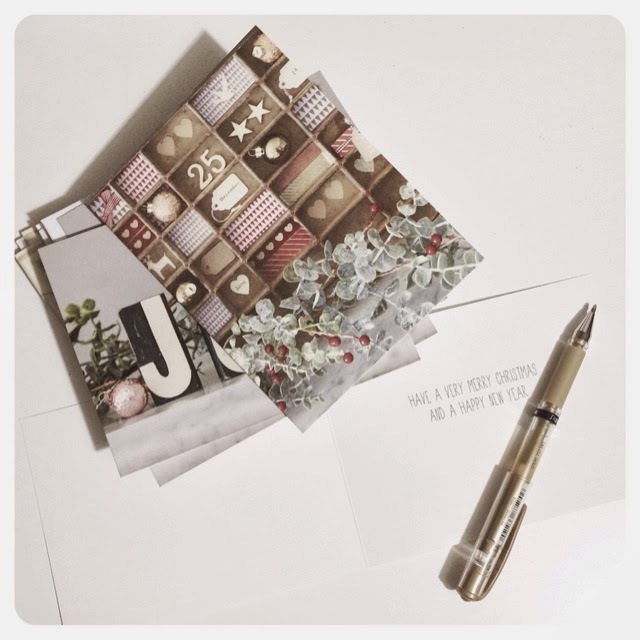 Shop for and write your Christmas cards. I hand-make Christmas cards for family and close friends but for people living further away I will buy some. I make sure I get them early and write them right away so they are ready to post come December the 1st, this means I get the best choice of cards in the shops and it leaves me time for other things come December. I Love a good Christmas market and there are loads, all over the country to take your pick from. H and I are heading to Bath this year and I am really excited as I haven't been there for ages. It's a nice reason to visit a town you haven't been to before. 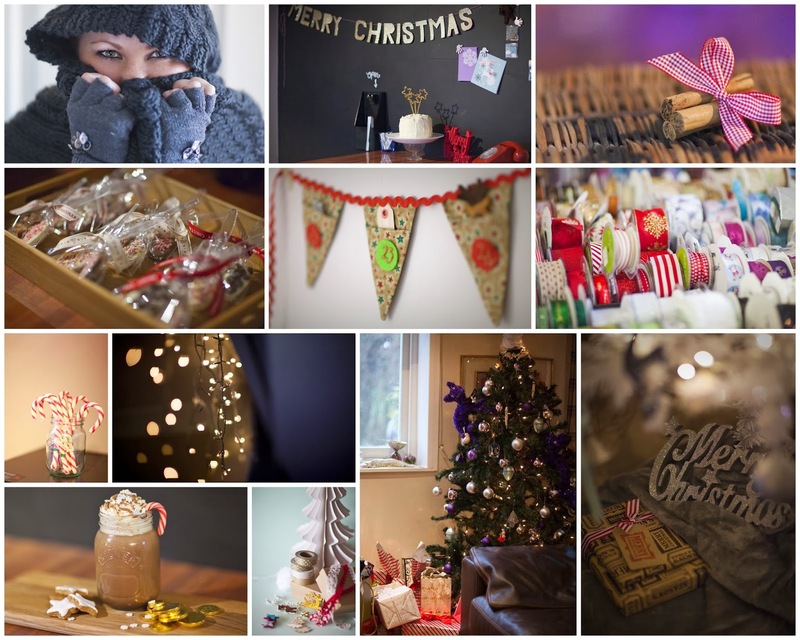 Check out christmasmarkets.com for one in your area, or an area you want to visit, why not make a weekend of it? I Love Ice skating, especially at this time of year, it is great fun, even if you are not very good at it. There are loads of indoor and outdoor temporary rinks put up all over the UK, but especially in London. 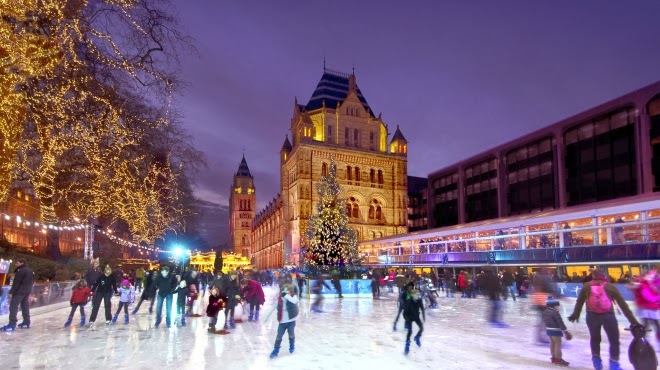 Head over to Time out's site to check out where and when you can get your skates on. Get your craft on! There are so many great ideas for making your own advent calender floating around sites like Pinterest, get some inspiration and get making. Surrounding yourself with all things sparkly is a great way to get into the spirit. If you don't want to make one for yourself or you don't have kids, make one for a friends children like the girls at A Beautiful Mess did. 9. Visit some spectacular Christmas lights. When I was young my Dad used to drive us up to London to see the Christmas lights, one year we went all the way to Blackpool for the weekend to see the illuminations. I am going to stay in London late this year on my decoration shopping trip just to take a look at the Christmas lights and shop window decorations on Oxford Street. This is one thing sure to get the festive feelings flowing! 10. Bake some Christmas treats. there is nothing like the smell of Christmas baking, if you are not great at it, cheat like I do. Most supermarkets now sell ready-made gingerbread dough, just roll out, cut into shapes and bake! I hope these tips have given you some good ideas to get your festive motivation going. I would love to hear how you get in the Christmas spirit, let me know in the comments below. This is a great load of tips here! Want to do all of these, maybe I should make a Christmas bucket list haha! By the way I remembered speaking to you's last week about my little geek week. If you fancy it, I've put up reviews of Catching Fire and the Doctor Who Anniversary. But watch out their are a few spoilers! That's cool idea! I would like to do that but I'm so disorganised that I would end up not doing it haha! Yeah I think the bucket list would be a lot more suited, Darren keeps saying we need to do a gingerbread house so that would be on it. Ok dokey! :) I mostly wrote about the differences between the book and the film and how I thought it worked. What did you think of Doctor Who? Ohhh Gingerbread house, what a good idea! Doctor Who was Fabulous! I watched it with my Steve on Sunday, it was magical. I loved the bit at the end with all the doctors, very emotional, but overall brilliant. I will read your catching fire post on Thursday after I have seen the film, see if I agree with your review.